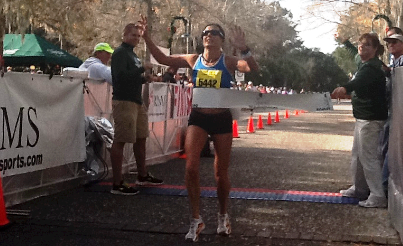 Tammy wins the 2012 Kiawah Island Marathon! 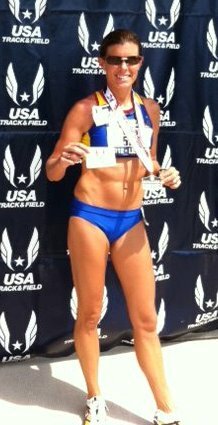 Tammy won the USATF 5K Championship! I run so that I can be a better mom and person. It clears my mind and helps me deal with issues better. I feel good about myself when my body is healthy. California international marathon 2010. I ran my PR and my visually impaired friend paced and coached me the whole way. He is an inspiration to me and many other runners. I enjoy the satisfaction I feel when I help someone else achieve their goal. To be part of that is priceless. The Tampa marathon. It was raining and very windy during the whole marathon. We worked together drafting off of each other. Everyone worked together and that is what made it so special. When runners run with my group I feel that I try and build a team of people who work and support each other. I make the miles go by faster through conversation. 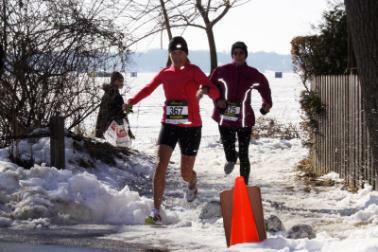 I also give helpful tips to help runners get through the tough miles. 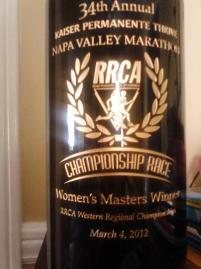 I am very consistent will my mile splits and have always finished in my goal time. Be confident in your training and running. A positive attitude goes a long way. Ability is what you are capable of doing.